In England, as in many other countries, there are significant numbers of surviving open-air rock art monuments, which are exposed to all the extremes of weather conditions. Despite this, they have managed to survive over 4,000 years. The decay rate of these rocks must have been very slow, however, with the increased pollution levels in the last couple of hundred years the rate of decay may have accelerated. It is therefore important to monitor the microscopic changes in these rocks over time in order to inform and help with the formulation of conservation strategy. 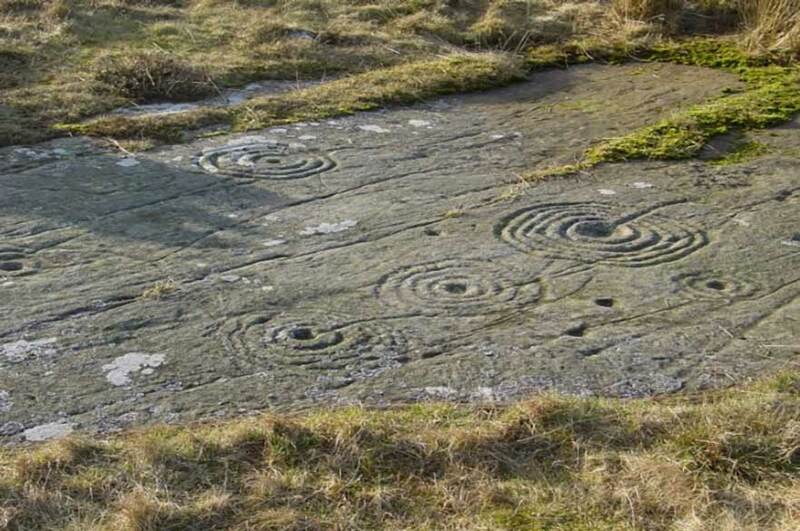 English Heritage manages many important open-air rock art monuments in upland areas which need to be preserved in context for public understanding and enjoyment. There is at the moment considerable uncertainty about how to assess condition and vulnerability in these monuments. Porosity is an important indicator of vulnerability, as voids are open to freeze-thaw, to rootlets and to hyphae. A non-invasive method of measuring porosity below a carved rock surface would make an important contribution to assessing vulnerability and understanding decay. With the portable optical coherence tomography (OCT) and magnetic resonance imaging (MRI) instruments available at NTU, we will be able to non-invasively image the surface and subsurface of a rock art panel and measure the vulnerability of the rock art monuments.